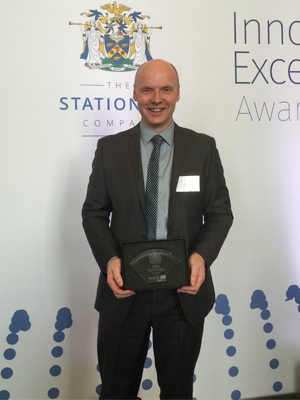 Ian Beardsall, MD of IBTEC, was at the Innovation Excellence Awards held at the Stationers Hall next to St Pauls Cathedral in London, to witness one of our product developments take an award for Excellence in Innovation. IBTEC have been instrumental in taking an original patented concept of a formable protective packaging solution into a whole suite of options including recyclable and compostable products. Aimed specifically at the mass protective packaging sector, my client is currently in talks with the main world players and IBTEC is currently designing machinery to manufacture these in vast volumes. Also, IBTEC are working on derivatives of this solution for other industries in the industrial sector which also has significant market growth potential. Ian Beardsall, MD of IBTEC, was at the UK Packaging Awards held at the Hilton Hotel on Park Lane London, as one of its recent innovative packaging developments was shortlisted for an award. A conceptual prototype that has been in existence for a little while, has been transformed into a whole range of products by the IBTEC product development team for our client. This has also included the design and manufacture of the machinery to produce them resulting in a significant contract for IBTEC into 2016 and beyond. Following on from last year, IBTEC has continued to develop further products and one in particular will be displayed at the Packaging Innovations show in Birmingham this year. Ian Beardsall said “2014, my first full year after selling Sirane was an interesting one. There is clearly an appetite for innovation on a scale I have never seen before and fortunately for us, this excites us very much. The challenges facing packaging in particular is getting greater by the day, and complex solutions can only be achieved with the right people with the right skills and this is where we fit nicely." IBTEC will be at the show for both days so hopefully, we will see you there..
IBTEC will be visiting the Packaging Innovations show to support some of its customers that it has helped develop products for this year, 2 of which are up for awards. Ian Beardsall said “It is an exciting time to be developing new products as there is such a thirst for innovation like I have never seen before. The ideas that are coming forward are really pushing the limits on design-to-manufacture and fortunately, this is a key strength of my company. I am happy to have been able to offer comprehensive solutions to technical manufacturing and design problems encountered at the prototype stage to ensure the product can be produced"
One of the other key factors has been minimising the cost. 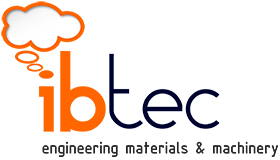 In every case thus far, IBTEC have managed to reduce the product cost considerably by material selection and processing methods without hindering the products performance. 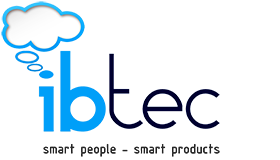 In both instances, IBTEC have designed the machinery to manufacture these products. In a market where iterations of existing design concepts ( bags, boxes, pouches. thermoformed) seems to be prevalent, being able to offer the market an option of saying, “lets design a product and we will figure how to make it”, has excited our customers immensely. The best start to the new year ... Ever ! Well what a start to the new year! As we start to get the word out that I am no longer developing products at Sirane, but developing products within my new company, I am receiving a large amount of interest on a global scale. Currently, besides the UK, we are looking at projects in the USA, France, Germany, Turkey and Saudi Arabia. These vary from Medical applications to Industrial packaging to engineering solutions and machinery. We have received our first order from Spain of which we will be producing with one of our trading partners in their factory which has ISO:9001:2008 & BS 13485. We expect to do more in this area as we develop more products for the medical markets of the world. In the industrial packaging sector, we have recently developed a dual compartment pouch to be used in a unique way. As this is a big development, we have partnered with a European leader in chemical formulations to do a joint patent and then bring this to market. With interest from a world renowed company, we hope this to be a big product for us. IBTEC will be also designing and developing the machinery to manufacture the product in two separate locations around the world. Sandra Evans, Sales Director, has recently visited the USA to discuss some medical applications and some industrial packaging applications using super absorbent/adsorbent materials in a very clever way. We hope to see this develop into another new area for us and supercede some of the existing packaging already out there. We have also recently designed and manufactured 2 machines for the processing of a special thin laminate structure to be inserted into a bag for a medical application. These have just been delivered and installed and working perfectly. The customer is very happy with the installation and we expect to see further orders from this company for other projects. All this and its only January …. IBTEC were recently invited to the Atlanta Food Service Expo by a potential customer to discuss the design, development and manufacture of a brand new concept that has never been done before. This customer, who is a market leader in their field, has been working for sometime on a variety of options with other companies but were impressed with IBTEC's design capabilities and speed of response. After just one discussion in which IBTEC fully understood the brief, IBTEC designed and produced a prototype which the customer commented that he was ' blown away' with its functionality, aesthetics and performance. IBTEC's ability to provide an unrivaled design with the above attributes at the lowest cost and best delivery times has impressed our client to the extent that they are looking for IBTEC to produce this product and manufacture it in the USA on machinery designed, developed and built here at IBTEC. The range of products will be produced in their hundreds of millions growing to an expected 0.8 billion/year and above. "Would you like to be a dot on our map?" Jason Mead is our first USA representative to join IBTEC. 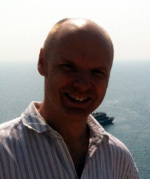 He is our first dot on the IBTEC map outside the UK and we welcome Jason to our dynamic and fast growing team. Jason has been working for many years in the pharmaceutical markets of the West Coast USA developing new products and sales for a large pharmaceutical company. He recently agreed to join IBTEC due to its capability of designing niche products through to manufacture in the US markets. He will head up the West Coast USA and we want to wish him every success. Jason will shortly be joined by our first European agent to be announced soon.